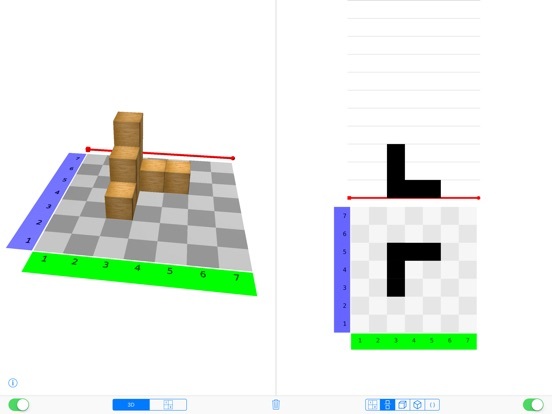 Here is a worksheet for your math lessons. 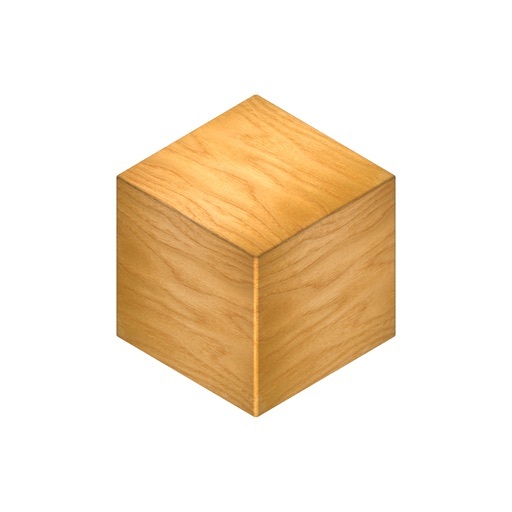 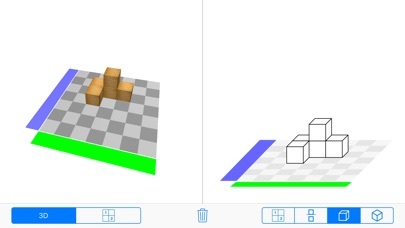 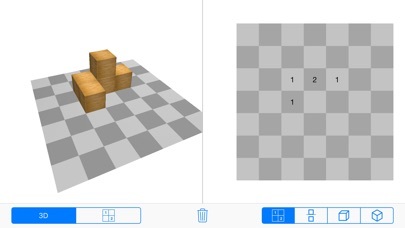 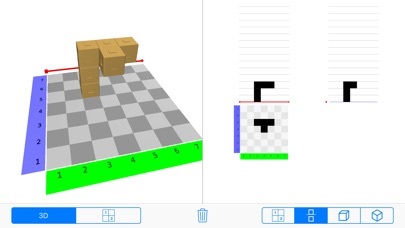 With this app you can build cube buildings. 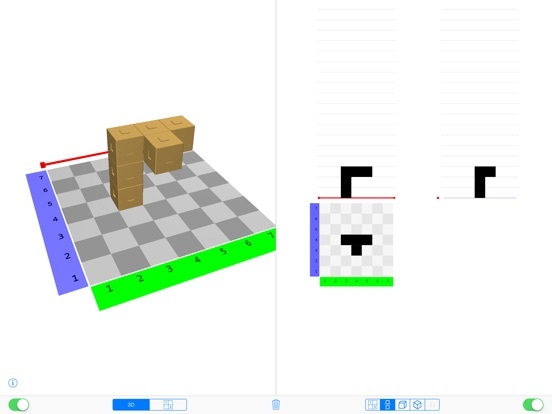 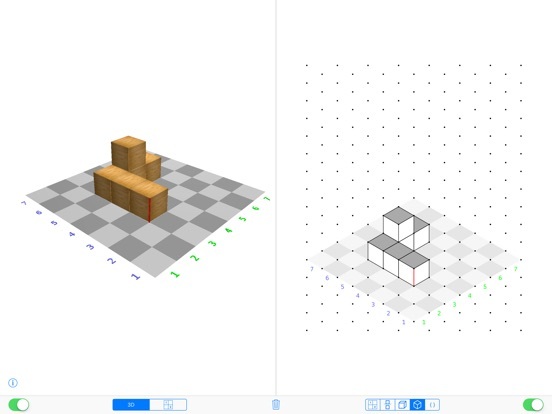 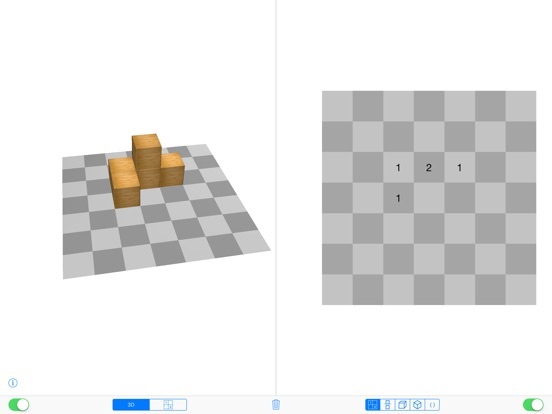 Simultaneously to a three dimensional view you can show a building plan, a multiview orthographic projection, a cavalier projection or an isometric projection view and even a code view (on iPad). 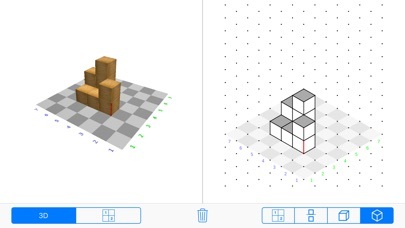 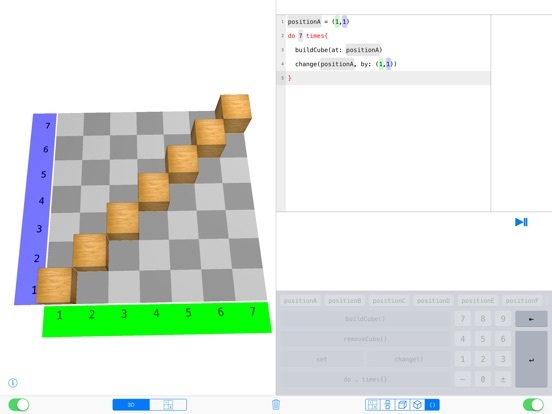 You can add or remove cubes by touching them or creating them with the code view. 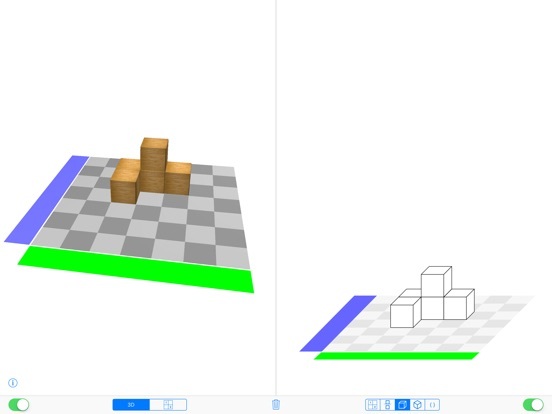 Look at your buildings and rotate the three dimensional view. 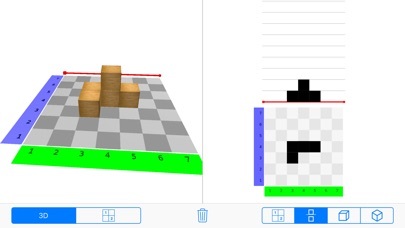 More teacher's material can be found on the support page.